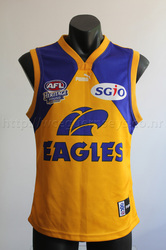 In 2003 the Eagles didn't wear a special guernsey for Heritage Round. 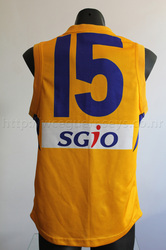 In 2004 they wore a replica of their original 1987 guernsey, the nickname of which is the Yellow Peril. This was the first West Coast guernsey to get the curved hem. 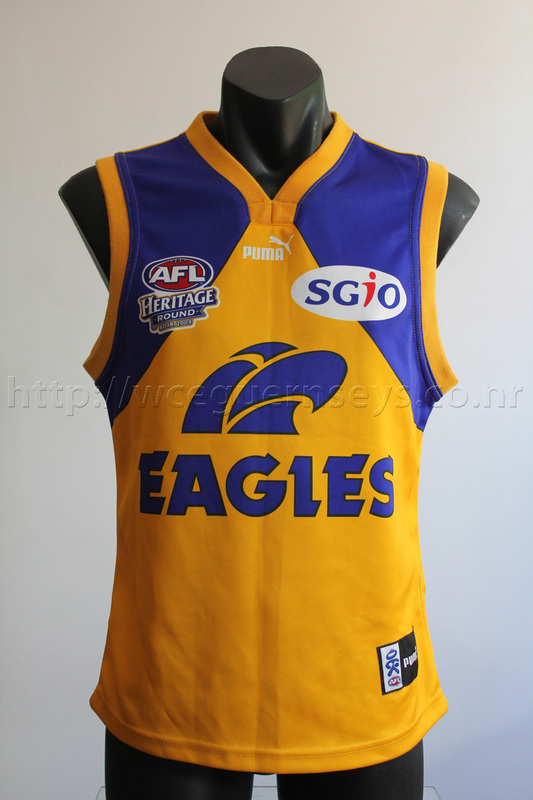 This doesn't have any watermarks throughout the guernsey. This was worn Round 18, 2004. West Coast 15.16 (106) defeated Western Bulldogs 8.9 (57) at Subiaco Oval.